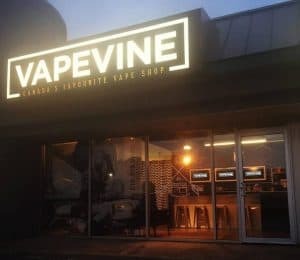 The Holy Cannoli eLiquid line is a new Dessert Line from California that is taking the VAPEVINE brick and mortar store by storm! These incredibly flavourful and accurate cannoli flavours will have you feeling like you’re eating the real thing! The newest addition to the Holy Cannoli line is the Blueberry Strudel Cannoli. This fruity fresh blueberry mixes with a perfectly fluffy pastry finish for a harmoniously delicious mixture. Blueberry Strudel Cannoli – A fresh fruity blueberry inhale, smoothened out by a fluffy pastry, for the perfect fruit dessert flavour, from one of our best selling lines! Blueberry Strudel Cannoli – A fruity fresh blueberry inhale, smoothened out by a fluffy pastry, for the perfectly crafted fruit dessert flavour, from one of our best selling lines! Holy Cannoli Flavours use a 70/30 VG/PG Blend.